It is last day of the trip. We all are super exhausted after 3 days of chasing monuments, temples and lions. 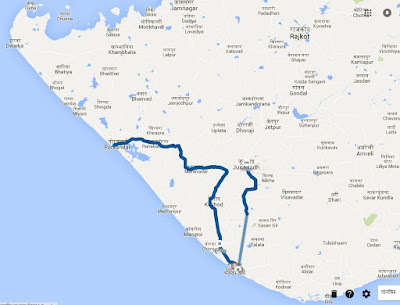 There is not much on itinerary today, except a scheduled stopover for shopping and few temples on the way. 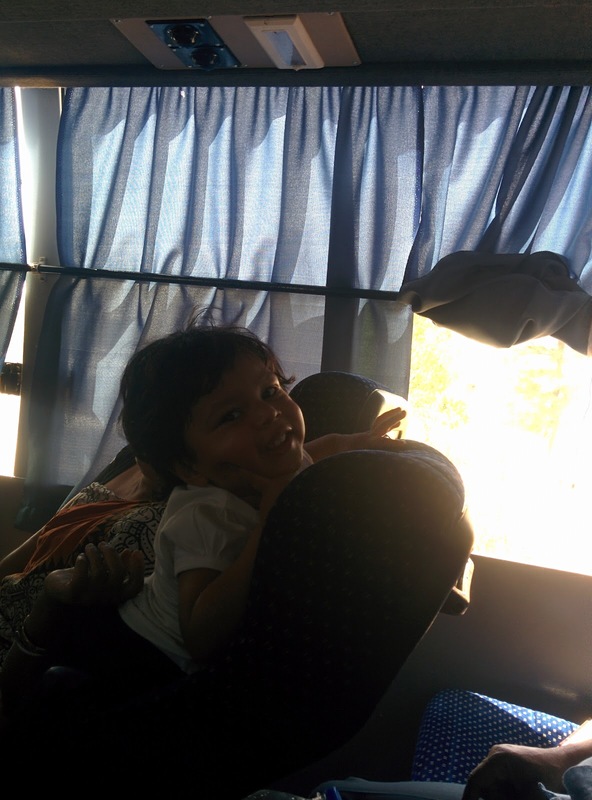 People are not in any mood except getting back to Ahmedabad and take rest, or Have fun. In fact, we are super cool when it comes to having fun. Right after our bus departed on Day 1 and we made customary introductions, joke sessions were already on. Many people shared their wisdom and experiences. In fact, I don't remember our bus sleeping even for few hours. If we tried to sleep, something or the other will break the ice. After Sasan Gir visit, many of us were really tired and already sleeping. Guide had put old Hindi songs to soothe the process. One uncle, however, was in mood to listen to songs, only louder. I'd go to lower the volume and he'd request to raise it again. Everyone went into discussion over what's the right volume to listen to songs. And that's how ice was broken. More often than not it would be our guide waking us up to see something passing buy, sometimes even under-construction temples. Just when we are about to catch a quick nap, a 10-15 min stopover for darshan of temples and monuments would get scheduled. And many of us may actually have refused to get down, only bowing to peer pressure, as one by one each of us got down. If nothing else, Priya mam, our travel supervisor, super enthusiastic almost all the time, would come into action. Mic was under her control and it was used mercilessly to get people on their feet. Requests, beggings, public pressure (when you announce someone's name and everyone claps enthusiastically), all tactics were used to pull people on stage. And when nothing worked, she'd pester aunties to send their husbands on stage, and vice versa. Ironically, almost all of us performed on stage eventually, except her. The stage was set by our multi talented guide, Mr Ibrahim Malek. His quips and jokes kept us grinning. He would recite stories of each city, region, temple or baba with utmost zeal, like a good orator. When Priya was asking everyone to come and sing on stage, it was he who picked up mic and sang "Aadmi musafir hai", like Md Rafi had sung. I have no qualms in admitting that I have not met a more entertaining, friendly, responsible and knowledgeable guide before in several of my travels. Vidya Bhaskar uncle was always ready with few jokes in hand. And moral stories. Neelam aunty sang several bhajans for us, even songs later. Many sang a song or two or shared moral stories. One such story struck my mind. It was related to Numbers. Why is 108 sacred in Hinduism? "Why is 108 a sacred number in Hinduism?" was the question an aunty tried to explain to us. Her simple answer was imbibed in the very name of "Ram-Ram", the beloved god of Hindu dharma. In Hindi it's written as "राम राम". राम is composed of letters र(27), आ(2) and म(25), whose positions in Sanskrit alphabet add up to 54. Therefore, positions of letters of "राम राम" add to 108 and hence 108 is sacred. In fact, I found out that positions of letters of "सीता राम" also add up to 108. सीता is written as स+ई+त+आ. Positions of स(32), ई(4), त(16) आ(2) in Sanskrit alphabet add up to 54 too. Together, letters of "सीता राम" make up to 108, the most sacred number in Hindu dharma. Who could have thought, names of Ram and Sita are equivalent in certain mathematical sense, incomplete without each other, yet complete as a whole when together? It is beautiful. It was followed by couple of other responses. One interesting response was that the ratios of Earth-to-Sun's distance to Sun's diameter, Earth-to-Moon's distance to Moon's diameter, and Sun's diameter to Earth's diameter, all are 108. Rather unconventional answer came from Sadanand uncle, a practitioner and teacher of Yoga for many decades. Each half of our body, right and left, contains 54 (something I forgot, may be bones or veins or muscles) which add up to 108 for whole body. He even suggested me to do 54 Kapalbhati keeping one nostril closed each time, because it awakens these 108 body parts. As soon as Sadanand uncle came to know that I'm unmarried, he went on stage and announced I'm getting married this fall and everyone is invited. It couldn't be funnier that by end of trip almost everyone was convinced I'm getting married this December. At one point he would tell jokes, on the other some darshan on life and yoga. It was fun and educative listening to him. Damodarji Mandir is first temple we visit today. It's located in scenic Girnar, mountains are green and beautiful. As we enter, we spot two kunds on both sides. There is lot of rush in this temple for Pind Daan. Another temple is attached to this main temple via a bridge. It has small cave like structure, we make through it somehow. It's a great place to take pictures. Bhavnath Mahadev temple is close by. This little girl is devotee. Offered chandan to everyone without asking for alms. After visiting Damodarji mandir and Bhavnath Mahadev temple, we went straight to our shopping center at Rajkot. Sun is super hot and so are the prices. Everything is expensive here, probably even dearer than Ahmedabad, and fixed rate, non-negotiable. Nevertheless, we bought several items. Aunties bought sarees, suits etc. I bought a Gujarati ethnic dress for my friend's daughter. One uncle, a successful businessman of his time, was not interested at all. "We get cheaper clothes in Delhi than here, this is complete waste of money!" he argued. He bought one dress for his granddaughter in the end, partly under peer pressure and partly due to my continuous pestering. We also see Shri Jalaram Mandir nearby. Food is served free here. Its very hot and we are very hungry by now. We stop at a Toran restaurant, not a hotel, and witness the awesome Gujarati hospitality. The food is delicious. Chapatis, sabji, rice, dal everything is tasty here. Everyone is so hungry that food shortage is frequent - food comes and goes in seconds. There is shortage of chairs so manager brings few from his home. Now its time for dessert and Suji ka Halwa is on the menu. Manager has taken the bowl in his hands and is personally serving all of us at our tables. If we ask for one spoon, he is serving us two with a smile and lot of pestering. Few aunties gather around me and ask him to pour even more halwa on my plate. I had lot of halwa that day. We are tired and our tummes are full, yet no one is sleepy. Chit chats are on. I collect phone numbers and emails to share pics and videos (our whatsapp group is very active). Few rise to share their overall travel experience, which mostly range from good to awesome with few complaints. Complaints and suggestions are mainly related to services and planning. Given that all the travellers are outsiders, pick and drop from stations and airports is desired. Also, an evening check in at nearby hotels makes sense for a trip starting as early as 6am in morning. This becomes even more important when 80% of your travellers are retirees and of old age. I had some issues with timing and planning. We missed live darshan of Aartis at both Dwarkadheesh temple and Somnath temple due to callous planning. 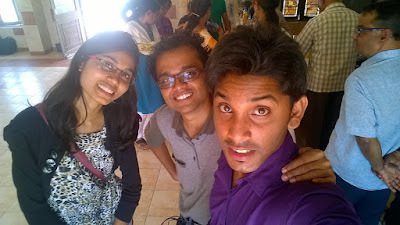 At Dwarka, we took an unnecessary detour via chowpaty and at Somnath, we were stuck at puja rituals for hours. Somnath had great beach but we missed it completely. Many temples and monuments are skippable as they mostly have local significance. Saurashtra is all about seas but we don't visit a single beach open for bathing. Finally, last day is unnecessary with no significant itinerary on paper. We could have made it to Ahmedabad by last night without any hassle. Sasan gir is worthless for tourists from far distances. I would have loved spending whole day in actual Gir forest, which is not much expensive. Instead of Junagarh, we could have gone to Diu, a wonderful place to spend a day with its beaches and monuments. 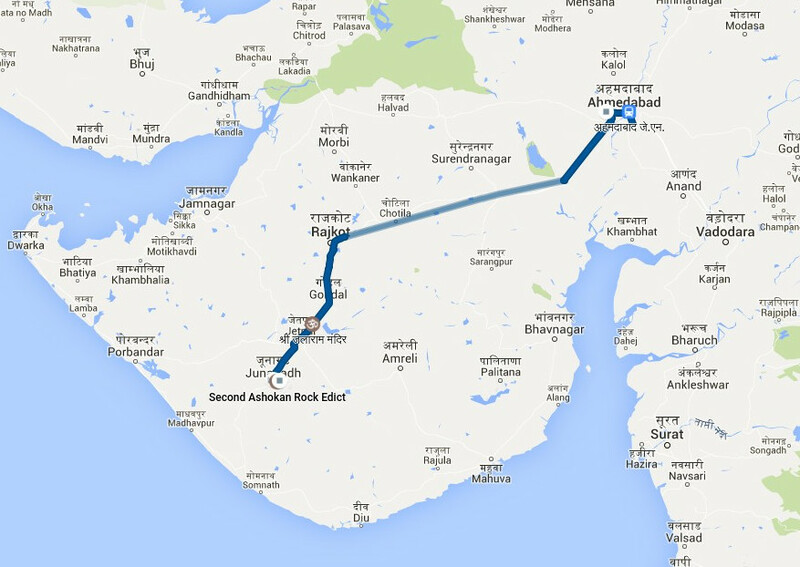 Bhavnagar is en route to Ahmedabad from Diu which hosts Blackbuck national park, another beautiful place to be. All in all, this trip is great, very popular too, but it can be greater. Ahmedabad is about to reach and I'm first one to deboard. Saying goodbye to everyone is emotional yet pleasant. Aunties are unanimous in suggesting I should get married at the earliest and next time I travel I should bring her along. Once they come to know I'm jobless and hence ineligible, they give many blessings for my startup endeavours. What makes a trip great? Beautiful places, Good management and Great company. Well, we had all three. Three Cheers to Us! My suitcase is still broken but I don't care. 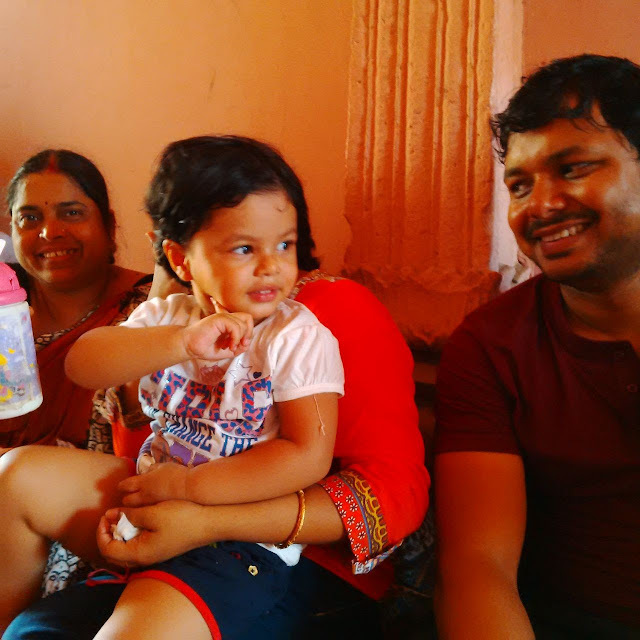 I'm dying to meet Shubhi, my niece whom I have missed terribly in last four days. She is very upset with me that I left without saying goodbye to her (this trip started at 6am!). 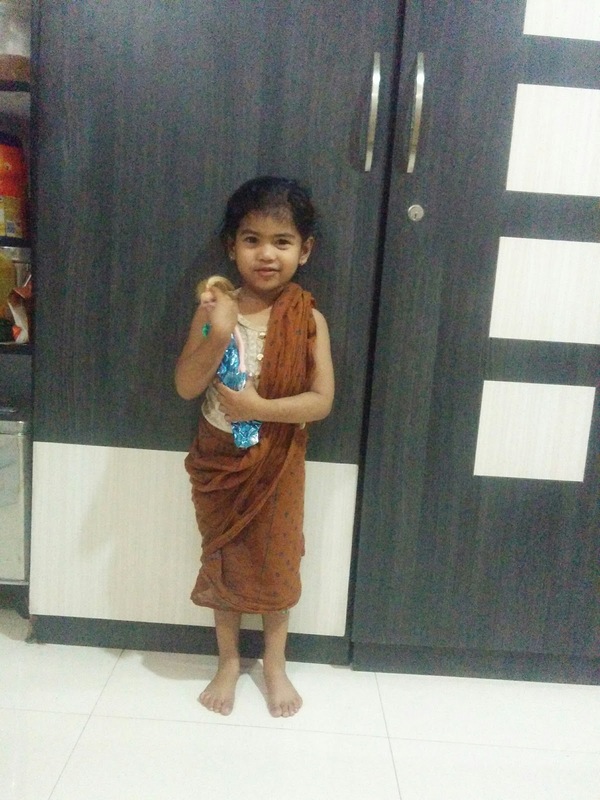 I have bought many things for her, like flute, purse, toys made of sea shells, a Krishna idol etc. At first she wouldn't talk to me but soon falls into my lap after seeing so many beautiful gifts. As we start playing together I have already forgotten about my arduous journey. My energy levels are fully recharged by her charms and I don't feel tired anymore. She has emptied my bag and packed herself instead. I wonder if I could carry her like that with me. After lot of cajoling she comes out and helps me pack my bag. My train is late night but she comes to see me off anyways, to the station. My sister tells me she's already asleep while going back home. Well, so am I! IT was most important day of the tour for me. 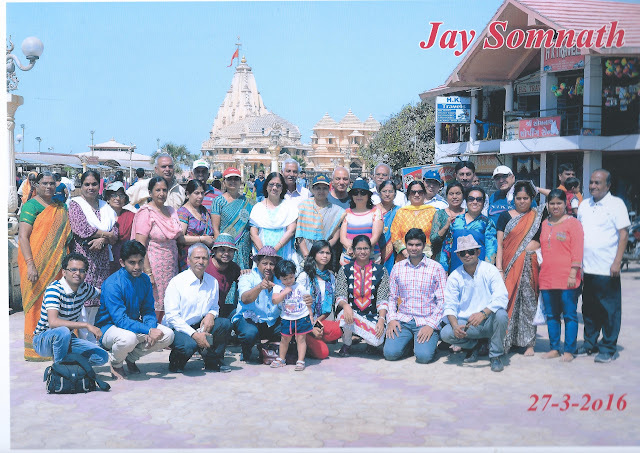 Somnath temple, the first Jyotirlinga, was on the itinerary today. I wore my new dress gifted by my sister on Holi. I was missing my parents as I usually visit temples with them and they would guide me how to work around these things. Few of us decided not to have food till we visit the temple. Bathed, fresh and with Om Namash Shivay in our hummings, we departed towards Somnath. Visiting temples is not a trivial affair for serious worshippers like my parents. Although it seems straightforward, lot of subconscious planning undergoes before, during and after visiting temples. Wearing clean clothes is important, one can't recycle worn ones. Fasting is required, as offerings are made only with empty stomach. Many times the temple complex will lack the items required for carrying out proper puja, hence packing ganga jal, ghee, agarbatti, matchstick, naved, chandan etc is customary. It doesn't end here. Once inside the temple, one has to decide which pujas to do. Each temple offers custom pujas depending upon its nature - like sankalp kriya, special pujas, kund snaan etc. The options are so many and so vague that only a regular visitor can make out the right selection (beware of scammers!). The tightest spot is when you're right before the God. You've so much to ask for and so little time that almost always you end up asking for same things, unless you've thought it through beforehand. That's not all. Once out of temple, prasad and souvenirs must be bought for family, children, neighbours and relatives and marked clearly (if you're visiting too many temples). A huge shiva linga greets us at the gate. Temple is old but new complex is under development, which is beautiful even at this stage. There is a kund nearby. This is the place where Lord Krishna was shot in his leg, and departed for the Vaikunth. It's only 9am but sun is hot already. We also made quick visit to Gita Mandir. Triveni Sangam is nearby. Guide announces that those interested can do puja at the temple while rest can have darshan directly. Almost all of us decided to do puja. They took us to a small temple complex, called Old Somnath temple. It was mainly for couples, but we adjusted somehow. The preparatory rituals are simple - they recite few mantras and ask you to sprinkle water. Soon we'd take turns to visit shiva linga but there is a huge rush. My turn was last. Shiva linga puja was OK. We put chandan on linga, poured milk and water as well as bel patra. We took blessings, gathered and departed for main temple. It's not just hot, its BURNING hot. Some smart guy suggested us not to take our slippers, and we are left walking barefoot on preheated mortar roads. However, the complex was much better in that respect. They had put tiles which don't heat up much under the sun, it felt like god's blessings to walk on them. There was not much queue. We had missed the main Aarti at 12 but some ritual was going on when we entered the main temple. We took Aartis, bought prasad and returned back quickly, as it was getting late. The sore miss was the beach behind the temple. My roommate uncle, who usually moved around alone and only one not to join puja, not only attended the main Aarti at 12 but also thoroughly enjoyed the beach. Unbelievable is this trip as well. 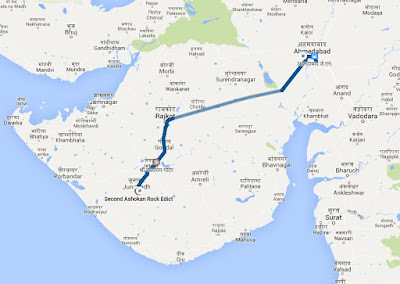 Whole trip is organized around saurashtra region and almost always we are traveling next to sea. Still, not a single decent beach is on the trip itinerary where we can venture into waters and have fun. Beach has great tourism quotient but probably planners considered it as misfit in this kind of religious tour. I think they are completely wrong. Beach is a must, if not every evening, then at least once on this 4 day long trip. (more tour suggestions and complaints will follow up in closure comments). After Somnath and Dwarka, my most sought after item on this trip was Sasan gir. I have been to safaris before and have loved it so far. Bannerghatta at Bangalore almost consumes whole day. It was already evening, and I was wondering how they will manage it. As we enter the gate, it feels more like a zoo than a national park. "Who maintains them so well? After all, its a jungle!". There is no mechanism to book a bus even for a large group like us, so we are split into three groups. Being a weekend, the place is crowded. We have taken our cameras out and are super excited to venture into the so called "only natural home to asiatic lions". This will turn out to be the biggest joke of the trip. The bus runs quickly through the forest - a semi-arid zone mostly with bushes and few trees. Its extremely dry, bushes are pale yellow, a tree with green leaves is hard to spot by. It's so hot that I won't be surprised if it catches fire. I tell people that such a forest is most suitable for lions. I have the camera and my friend is assisting me to spot the specials. 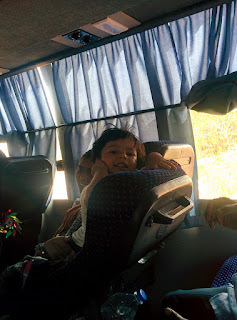 Our guide has specially arranged the seat next to Driver, so that we get the best shots. Driver saab is cooperative, he'd allow me to even lean over his side of window to click pics. We are super excited. Did I say that again? is this jungle on fire? does anyone live here? birds, hulloooooo?? The first to be spotted are deers, as usual. They are small, dotted with white on brown, typical Indian ones. I spot another animal but unable to identify it. People say its Neelgai. She's pretty. Deers - neelgai - deers - neelgai - may be anthill - even these are hard to spot now. Lions are nowhere to be seen. We can see other safari buses too, wandering here and there. I enquire about large pillars present across jungle, apparently they are for directions. Our driver receives an sms, bus makes a move and quicly halts to a tree. one look and it hypnotizes u - how could sita ji have resisted its golden avatar? bet - which road will lead us to lions? Couple of lions are resting under a big tree, probably brothers. One is semi-awake and other one is in deep sleep, doesn't care much that guests have come to visit him. Driver is relaxed and gives us all the time to take pictures. The semi-sleepy brother is probably contemplating over his life. At some point he gets anxious and turns towards our bus. Bus moves little backwards for better view. Lion opens his mouth wide, seems like he's going to roar - naah just yawning. "Stupid lion", is what I tell people. We would definitely find more sporty ones ahead. This jungle is full of real lions, and these two are only part of trailer. Our bus moves ahead. It's a closed enclosure with little trees. I wonder why a jungle would need such enclosures at all. No animals are to be seen. I'm clicking here and there nevertheless, thinking we can always zoom later and extract out the specials. Still nothing. Children are excited to find something. "Where? Where? ", I ask but their little fingers pointing towards sky is not helping at all. There is a tad movement, I'm able to see a tiger standing. I turn around in excitement to tell people to come and see the tiger. I turn back, and I've lost it again. It's frustrating, really. Bus moves further and what's this, an exit gate? It's hardly 20 minutes since we left this very same gate. Driver is only person in the bus from authority and I'm constantly asking him about any more lions to be seen. This is not what I heard Gir forest to be. I don't care if it's Sasan or Rashan. This is worse than a zoo. At least we get to see some animals in a zoo, with much better view. We had been scammed. We meet our travelmates and they tell the same story. Apparently we all visited the same lion under same tree for same amount of time. One quipped the lions were tied to the tree, and they show the same lion to everyone. Had our stars not been bright, there was a good chance that we may have returned from gir forest without spotting a single lion. They charged us 160 or 200 INR per head but the ride was not worth even for free (given it's far location and short ride). We complain to the guide for including this place into our itinerary, wasting our time and energy, and ask him for refund. There is a souvenir shop which doesn't have much to look at. I buy a tshirt for my brother. UPDATE : after some research, I found that the safari trip we took is called Devalia Safari Park and its meant to be a trailer to the actual trip. Frankly, this may be fun for local tourists but for those coming from far off places, a full day gir trip would be more appropriate. The classic match between India and Australia is scheduled later evening today. Everyone wants to rush to the hotel, and be ready for the big clash. We halt for a tomb on the way, and reach hotel well before time. 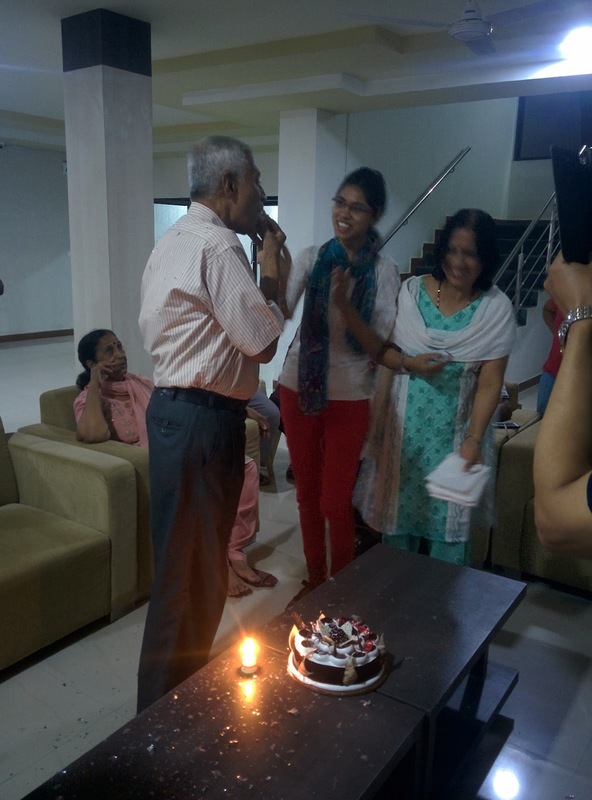 While we were chatting after quickly freshening up, an aunty came with a request - throw a surprise birthday party to our beloved Sadanand uncle, the yoga guru. This was unexpected but welcome fun event for all of us. Tomorrow is our last day, and this could be good occassion to gel together and share moments. We enquired about a decent cake shop, caught an auto and headed towards it. It's sunday, hence the market was closed. We still kept going in hope. The shop was Monginis and it had a perfect cake for us. We quickly head back home. Few people had started their dinner already. We secretly informed everyone to wait in the lobby after dinner, for the "surprise" birthday party. Sadanand uncle was called, he was genuinely surprised. He had never cut a birthday cake before. We shared few jokes guessing his age. We sat together for couple of hours, chatting and sharing things. Match was still going and India was on backfoot. Kohli played knock of his life and pulls a stunner. India won it in the end. It was a fun filled night.